Dear Mom I hope the rest of your day is beter then this part of the day. From the appearance of the printing, it was probably written when she was in the second grade. I have no receollection of what made my day bad enough to warrant the note. Maybe I burned a batch or cookies or broken glass on the kitchen floor. Maybe I’d reached the end of my patience with the children—too many questions, too much shoving, too little turns-taking. Maybe the stomach flu was making its rounds, or bad news had arrived via mail or phone. Whatever it was, I clearly didn’t hide my feelings. I’m certain this little note made me feel better. It’s still making me feel better. Whenever I sit down at my computer, I smile. Even then, forty years ago, my daughter “got me,” which leads me to contemplate an interesting phenomenon. Even though she and I have lived hundreds of miles from each other for the better part of thirty years, she still “gets me.” What a wonderful feeling. Motherhood is indeed a gift. 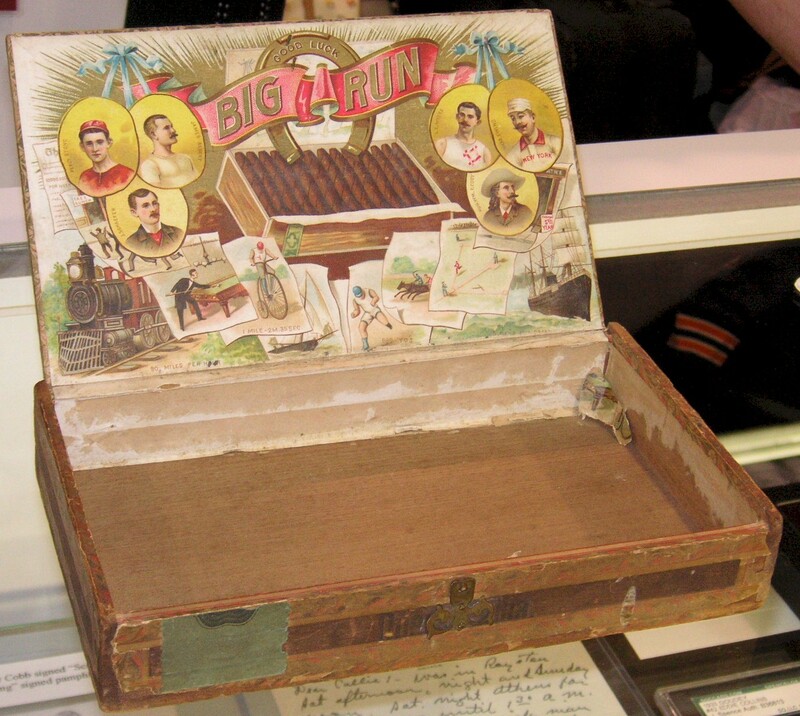 When I was a girl, my dad used to pick up free empty cigar boxes at the tobacconist. “Need this for anything, Sal?” he’d ask. With my collections of Viewmaster reels, beach rocks, horse chestnuts, and marbles, how could I say no? Nowadays, cigar boxes are purchased from craft stores—considerably lessening their appeal for me. You see, I love reusing containers. For more than sixty years I haven’t been able to see a small hinged-lid box in the trash without the urge to rescue it. When my seventh-grade Home-Ec teacher told the class to look around home for a bobbin container, I knew I was going to like sewing. Today my bobbins live in an empty Altoids box. Buttons, on the other hand, take up an entire fruitcake box where they are crammed together—gold, black, pearly, round, flat—like petrified raisins, cherries, and citron leftover from the previous tenant. Cylindrical black film canisters are also high on my list of coveted containers—perfect for small nails, screws, picture hooks, thumbtacks, and calligraphy-pen tips. For years, the sound of a camera being loaded activated my ‘sixth sense’ so I could retrieve the film canister before it was thrown out. Film canisters are hard to label, but shaking them to identify their contents is a satisfying game. Even though I my current camera is digital, I’m tempted to stock up on film to assure a supply. I come by my instinct honestly. Inside the lid of a tobacco tin I’ve stored things in since childhood, the manufacturer wrote these words: Save this tin, it has many handy uses. My affinity for reusing containers is also in my genes. Grandmother covered orange crates with calico to make night-stands in our summer house; Mother prevented rumples in table linens by rolling them around spent shelf-paper tubes; Dad stored nuts and bolts, screw-eyes and washers in Yuban coffee tins. Thinking up a use for an attractive container is half the fun. Occasionally, reluctant as I am to admit it, box-lust overcomes me, and I buy a product just for its packaging. A few years ago I purchased a set of nesting, rainbow-colored boxes as playthings for my granddaughters. When Hubby bemoaned the excess of plastic and paper bags on shelves in the garage, I reluctantly gave them up. Now our garage looks like a wannabe M&Ms warehouse, lined with red, yellow and green containers. My desk drawers are chock full of note-card boxes cast off over many years housing souvenir postcards, address labels, stickers, stamps, and envelopes (the kind left over when you wreck a note and have to start again). If a box is both pretty and durable, I’ve put it to work. Those holiday card boxes with clear lids? Great cookie-filled-gifts for the neighbors at Christmastime. Candy tins? Perfect for sorted snapshots. I even have a huge industrial-weight cardboard box gleaned from a huge company I worked at years ago to keep wrapping paper in—the same box since 1983. Don’t get me wrong, though. I’m choosey. With the exception of film canisters, I am partial to rectangles, and have no affection for yogurt or cottage-cheese containers. I critically audition my boxes. Hubby’s learned to ask my opinion of incoming boxes before breaking them up for recycling. Now I’ve arrived at the age of downsizing, I need to reduce my treasury of cardboard and tin. My boxes must be consolidated or discarded. Some will end up in a landfill; others will be melted or churned into pulp and reappear in a papery reincarnation. A few will end up in thrift shops, maybe even with contents intact, to surprise a buyer who shrieks with delight at the possibility they represent. Eye candy for packrats. Organizational tools for collectors of stuff. Mini-file drawers. Accumulators’ delight. And the boxing match will begin again. Whenever I hear Johann Pachelbel’s Canon in D *(commonly referred to as Pachelbel’s Canon), I choke up. You might think that’s the equivalent of crying at “Waltz of the Sugar Plum Fairy” from Nutcracker Suite. No one except perhaps the mother of a bride cries at a piece that’s heard so often and seems so overplayed. With its first familiar notes, I’m transported in my mind from wherever I am (standing at kitchen sink, driving down the freeway, sweeping the garage) to a specific place and time—the Wauwatosa, Wisconsin, Presbyterian church on an evening early in December, 1979. I can smell cold night air and fir needles as tears begin to fill my eyes. 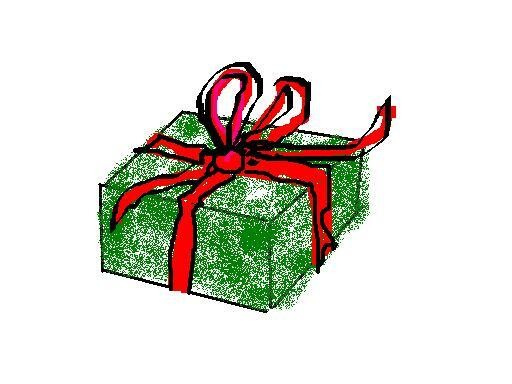 A gift is unwrapping itself somewhere deep inside me. As familiar as the music is now, it was rediscovered in the latter part of the twentieth century, which helps explain why I had never heard Canon in D before that night. The occasion was the holiday concert of the Chamber Orchestra at Wauwatosa East high school. I was one of many mothers who, along with fathers, grandparents and siblings, made up the bulk of the audience that night. My daughter, a junior, was the principle bass player in this honors group of musicians. Each year, the conductor secured several locations beyond the walls of the school auditorium to reinforce the group’s elite status to its members. Back then—especially in the Midwest—no one ranted about separation of church and state; we thought nothing about using a church as a venue for a public-school concert. It was a serene and lovely setting for the holiday concert. The December concert was also the debut for Chamber Orchestra’s new concert garb—white long-sleeved blouses, long, scarlet-colored gored-skirts for the girls (made by mothers or surrogate seamstresses from fabric selected by the orchestra teacher) and black pants and white dress shirts for the boys. The Chamber Orchestra rightfully enjoyed an excellent reputation because of its quality of output. Only the students who were serious about their music made the cut. Many of them were scholars and student leaders, the crème-de-la-crème of the student body. As the individual players entered the church sanctuary,which would serve them as a stage, I felt pride tugging at my heartstrings. My daughter looked confident and beautiful in her red and white uniform. I, too, had been a string player in high school, so my mother-daughter empathic vibes were especially strong. The group settled into individual positions in a well rehearsed tidal motion. The church was decorated for Advent with a few bare fir trees unadorned except for lights, and the fragrance of firs was subtle but stirred up nostalgic memories of happy Christmas seasons. The tiny, clear Christmas lights twinkled on the freshly cut evergreen trees—clumped on the sides of the sanctuary—provided mood lighting. The conductor raised his baton and the opening notes sounded. That December night, as I sat in the pew anticipating the performance, I was particularly keen on discovering what it was that had moved her so deeply. Now I was hearing it for myself. The music overflowed into the church, sliding upwards across the stained glass, filling the peaked roof. Its simple, round-like melody seemed to permeate every air molecule. I felt it pulling into my lungs as I inhaled. My body thrummed in harmonic response. Maybe being in church (albeit not the one where I worshipped) helped make it a spiritual experience for me, but it was as if the music had sought and found my soul. A sense of joy overcame me, changing my mental orientation from the mundane rush of cleaning up the dinner dishes and finding a parking place to overwhelming calmness. My psyche settled into a place of infinite hope and unlimited possibility. The music filled me with a sense of optimism in what lay ahead in life, a sense that nothing could ever harm us. I relive that experience each time I hear Pachelbel’s Canon in D. I think about how the music seemed to have uncorked something inside me, making me feel as if hope had liquefied was flowing through my veins. A feeling of well-being diluted my daily worries, broke loose a dam of anxiety and washed it away. If I could be touched by this simple music as it lit the dark edges of a chilly night, I knew I had nothing to fear. Tears of gratitude had streamed down my cheeks. That was thirty years ago. But if I let myself really listen to Pachelbel’s Canon, I cry for all the years between then and now, for the goodness, the wonder, and the angst that comprise living. For the time it takes to listen to the entire work—only several minutes—I cry for all the disappointments, mistakes and grief—all the love, triumph and delight of an ordinary life. * The music heard on this link is arranged for and performed on a synthesizer. The artist is JC Hall.